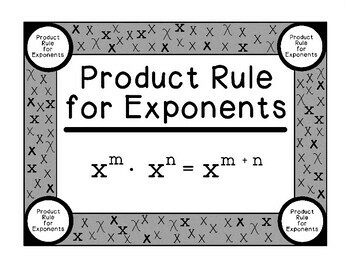 This activity is designed to give students practice using the product rule for exponents. 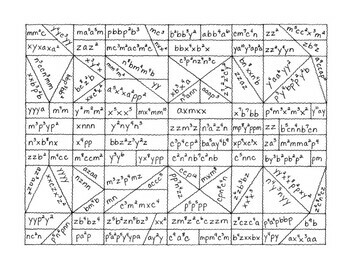 Students are to simplify each expression. 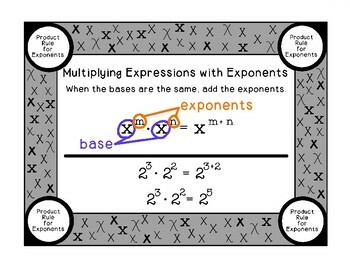 Each simplified expression will have either exponents that are even numbers or exponents that are odd numbers. All expressions with even numbered exponents are to be colored one color and all expressions with odd numbered exponents are to be colored another color. We have included a color key (we used red for even and blue for odd) and a black and white key labeled with the simplified expressions and E and O to indicate even or odd. Of course, you can use whatever colors you like or simply have students shade even numbers with their pencils and leave the odd exponents white. 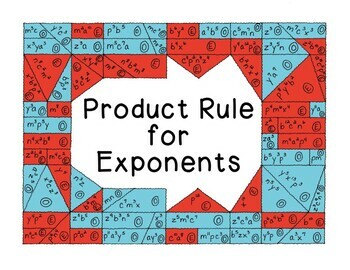 We have also included two informational posters on the product rule for exponents. We value your comments. Leaving ratings and comments is a great way to earn TpT credits for future purchases.